MedMen (NASDAQOTH: MMNFF) unveiled preliminary fiscal second-quarter results on Jan. 17 showing that California's retail marijuana market is accelerating. The company's soaring sales show that marijuana retailers are poised for significant growth, but this company's still got a lot of work to do before it's likely to reward shareholders with earnings instead of losses. Marijuana remains illegal at the federal level in the U.S., but that hasn't stopped 33 states from passing pro-pot legislation, including 10 states that have approved adult use for recreational purposes. Washington, D.C.'s decision to allow states to enforce their own marijuana laws has led to marijuana markets flourishing. Global cannabis sales eclipsed $12 billion in 2018, up from $9.5 billion in 2017, according to Arcview and BDS Analytics, and California may have accounted for about 20% of that revenue. 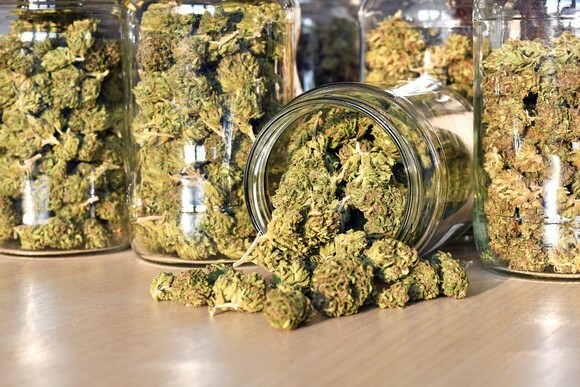 Last year was the first year of legal, recreational marijuana sales in California, and according to marijuana research firm GreenEdge, legal cannabis sales totaled about $2.5 billion there in 2018. Sales in California could be considerably higher than that in the future, though. As the market matures and more money shifts to California's regulated market away from the black market, Cowen & Company forecasts California's legal market could grow to be worth $11 billion in 2030. MedMen operates in five states, but eight of its 16 retail-store locations are in California, so its results are overwhelmingly tied to the Golden State. Last quarter, California accounted for $23.7 million of its $29.9 million in sales, according to its preliminary numbers. If you include the 15 locations that Medmen is in the process of acquiring, then Medmen's revenue increased 26% quarter over quarter to $49.5 million last quarter, giving the company a pro forma annualized sales run rate of nearly $200 million. Most of MedMen's acquisitions are expected to close prior to 2020, but that's not the only way this company expects to grow. It plans to open 16 new locations in 2019, including 12 retail stores in Florida where it has licenses to operate up to 30 locations. Overall, management has licenses to operate 77 stores across 12 states, and those licenses allow it to serve roughly half the U.S. population someday. Cowen & Co. forecasts that the legal marijuana market in the U.S. presents a total market value opportunity of $75 billion in 2030, so the prospect of targeting such a large percentage of the nation could be a boon to MedMen. The possibility MedMen can establish itself as a leading national cannabis chain shouldn't be ignored. Its stores were outselling Apple, Tiffany's, and Starbucks on a sales-per-square-foot basis as of its fiscal fourth quarter 2018. That suggests its stores could be handsomely profitable in the future, especially if investments in production facilities and brands provide tailwinds to its operating margin. The million-dollar question, however, is when could that happen? Since Medmen is investing significantly in expansion, net losses are likely for the foreseeable future. For perspective, the company lost $96 million in fiscal 2018 because of soaring spending. Investors may get additional insight into MedMen's timeline to profitability when it reports its full financial results in February, but most investors will want to avoid this stock until a path to profit is clear. David and Tom just revealed what they believe are the 10 best stocks for investors to buy right now... and MEDMEN ENTERPRISES wasn't one of them! That's right -- they think these 10 stocks are even better buys. Todd Campbell owns shares of Apple. His clients may have positions in the companies mentioned. The Motley Fool owns shares of and recommends Apple and Starbucks. 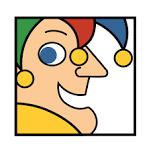 The Motley Fool has the following options: long January 2020 $150 calls on Apple and short January 2020 $155 calls on Apple. The Motley Fool has a disclosure policy.